For some events, I create both widescreen and portrait layouts, and switch between the two depending on the number of people being photographed. It would be nice to be able to switch between these layouts from the start screen, or perhaps the layout selection screen, so that I don't have to jump into the settings each time. Ideally, I should be able to make this selection from a touchscreen button, or from a keyboard hotkey. Square / Wide / Portrait and they can not be combined together. ALL listed in the same save directory. Putting them all together, but that just can not be done. 4X6 layout... you have to Manually change the printer each time. I do not want to mix different photo aspects on one layout. What I want to be able to do is change from layout #1 (which is widescreen), to layout #2 (which is portrait) without having to go into the settings. 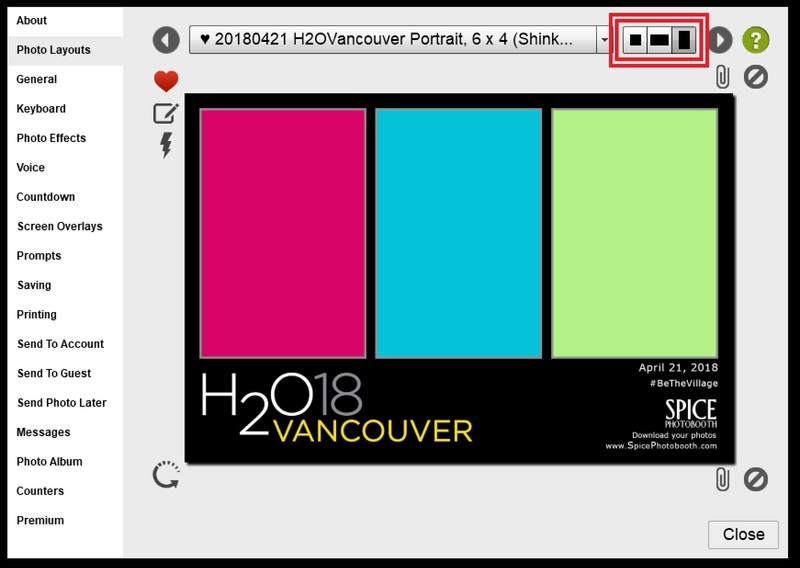 Currently, sparkbooth only lets you change between layouts of the same type, when you have the layout selection screen enabled. John Wu closed this discussion on 02 May, 2018 04:42 PM.